I know it may sound unconventional or even as a paradox to put the words Mexican and musical together, but it actually does happen, and more than you know or can imagine. 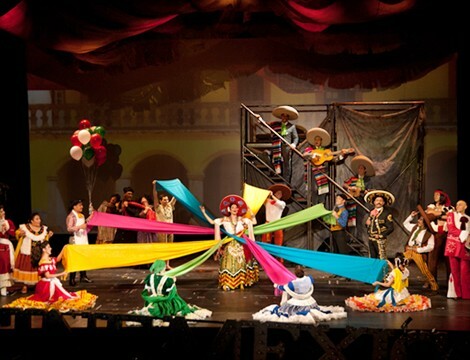 Mexico City (DF) offers some of the most enriching cultural experiences in the planet. As a matter of fact, I can actually venture to firmly say that “el DF” is the NYC of Latin America. It has the feel and look of a cosmopolitan metropolis like the Big Apple and offers just as much culture and art in the compact confines of its concrete jungle. While Mexican theater and musicals are no novelty in Mexico, the latest tribute to Mexican folklore and the Golden Age of Mexican Cinema is by far “sui generis.” Mexico has produced and offered thousands of Broadway musicals in Spanish, from Cats to Evita and if you ever want a brilliant sampler of a Spanish rendition of some of Broadway’s’ biggest hits, look for Rocio Banquells’ Un sueño alguna vez soñé album, it’s worth every track. 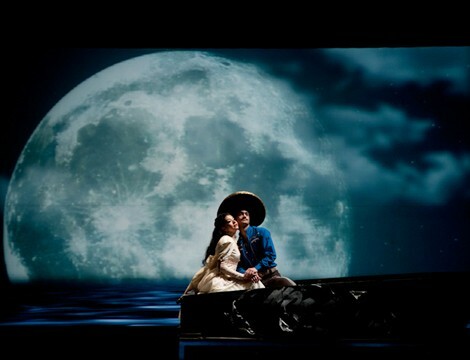 Other Mexican theater productions worth mentioning are Aventurera produced by Mexican theater and cinema icon Carmen Salinas, and Perfume de Gardenia produced by Omar Suárez. Si nos dejan, one of Mexico’s signature staple mariachi songs, penned by perhaps the single most prolific writer in the ranchero genre Jose Alfredo Jimenez, is the inspiration and driving force behind the musical Si nos dejan, el gran musical mexicano, which opened in the summer of 2011 in Mexico City. 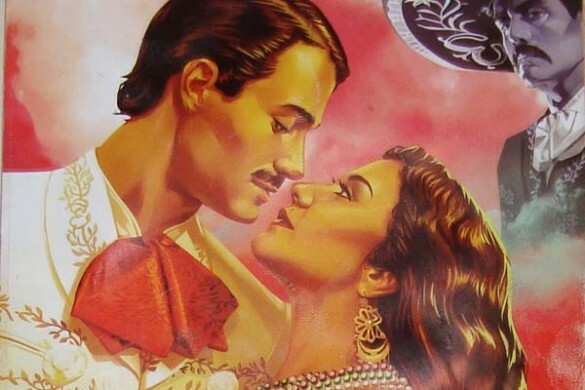 The musical, directed by Jose Manuel Lopez Velarde is a tribute not only to Mr. Jimenez but to the legendary iconography of the splendor of Mexican Cinema in the 30’s, 40’s and 50’s and the melodrama of the all too familiar Mexican telenovela. Si nos dejan is set in an abandoned Cine Mexico, which is discovered by a mariachi band looking for a place to rehearse. In the old and abandoned ruins of the once great Cine Mexico, the band members switch on the projector of the theater which gives life to the last film that was showcased in the movie house a few decades before. And this is how the movie comes to life in a very clever and outstanding amalgamation of multimedia features juxtaposed with conventional theatrical sets. Starring a talented cast of actors led by Leticia Lopez (Paloma) and Mariano Palacios (Jose Alfredo) with their respective sidekicks Ricardo Maza as Tristán and Michelle Rodriguez as Eufemia, Si nos dejan takes the viewer through an amazing journey of Mexican staples, mostly from Jose Alfredo Jimenez, but sprinkled with some Juan Gabriel and Agustin Lara tracks. Unless you have grown up or been around the vernacular and traditional mariachi music and have read some of Mexico’s or Latin America’s greatest writers like Juan Rulfo, Carlos Fuentes, Gabriel Garcia Marquez or Mario Vargas Llosa, then the Magic Realism in the production, which I will not spoil, will definitely go over your head, as I noticed it did a good friend of mine who is of Basque descent and who lives in DF and simply could not get past the idea of a part in the musical, which takes on the magical realm of the concept of death, resurrection, and La Llorona, a very Mexican and indigenous embedded tradition. Aside from the gorgeous multimedia effects that recreate scenes of the ocean or cotton fields in California, the unbelievable mash-ups done with some of Mexico’s most iconic songs is simply to die for. Imagine a masterful mix mashup of Por un amor and Volver volver, or Estos celos and La ley del monte, and my favorite No volvere and La media vuelta… the thought alone gives me goose bumps all over again. To say that Si nos dejan is a masterpiece would be an understatement. It is an invocation of all things Mexican, from the colorful costumes, to the “albures” and Mexican colloquialisms that are now common place anywhere in Latin America thanks to the very cinematography that Mexico exported to the world in its Golden Age, the era of glamour and distinction that El Indio Fernandez, Pedro Armendaris, Maria Felix, Dolores del Rio, Pedro Infante, Jorge Negrete, Antonio Aguilar, Cantinflas, Flor Silvestre, Silvia Pinal, and Tin Tán, to name very few, made so glorious and unforgettable to Latinos all over the world. 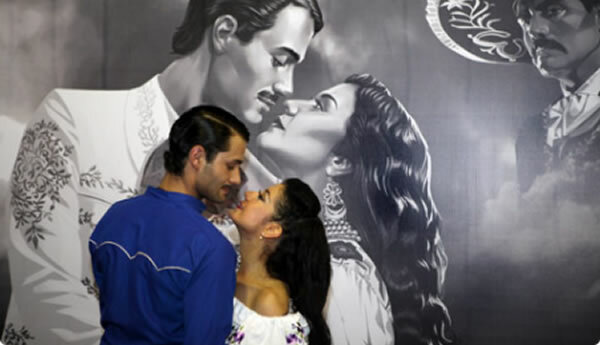 The powerful performances of the lead characters, supported by the ravishing vocals of Juan Navarro as El Rey and Maria Filippini as Doña Lola, truly make of this musical a production up to par with and able to rival any Broadway production or any London show. Whether this production will ever make it north of the Mexico border is yet to be seen, but if it does, you can rest assured I will go see it again. If it does come to the US, you should consider going yourself. If you like mariachi music, stellar vocals and Mexican melodrama, then Si nos dejan is the perfect solution for that nostalgia of a good old fashion classic romantic story. Si nos dejan is by far the most Mexican musical you’ll ever witness. It will make you cry, it will make you laugh and it will remind you of how rich our Mexican and/or Latino culture/heritage really is. The goose bumps and tears are merely optional! Latinos, and Asians, and Blacks…Oh My! I love the song and it will be awesome to watch the musical. Juan Gabriel songs, great cast, lovely story, what else can we ask for? The musical sounds wonderful. I wish it would travel to or be staged here.